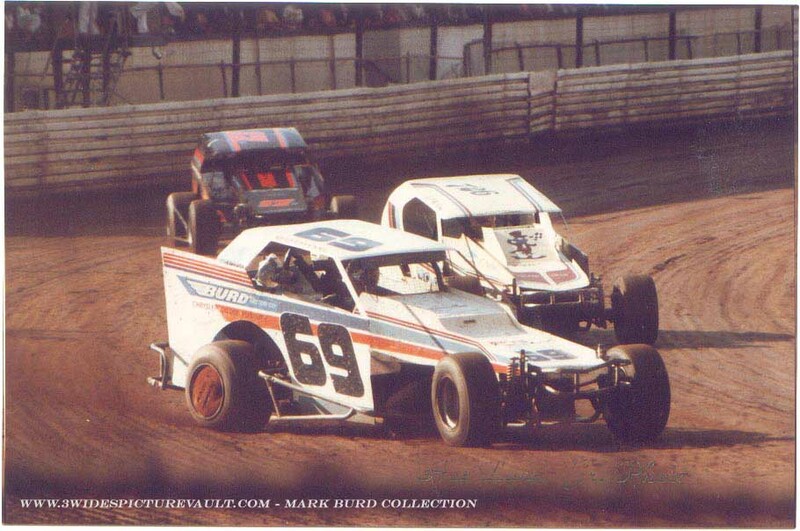 01/21/05 Mark Flamisch This photo has to be later than 1984, because Flemington still had the old wooden boards in '84 yet. (Note the guardrail in the background) The new guardrail went up on the frontstrectch in '85 which is when this photo had to be taken. 05/25/05 3-Wide Didn't even notice Dave... Whose was it and what happened to the tape!! !